The lid-driven cavity is an important fluid mechanical system serving as a benchmark for testing numerical methods and for studying fundamental aspects of incompressible flows in confined volumes which are driven by the tangential motion of a bounding wall. A comprehensive review is provided of lid-driven cavity flows focusing on the evolution of the flow as the Reynolds number is increased. Understanding the flow physics requires to consider pure two-dimensional flows, flows which are periodic in one space direction as well as the full three-dimensional flow. 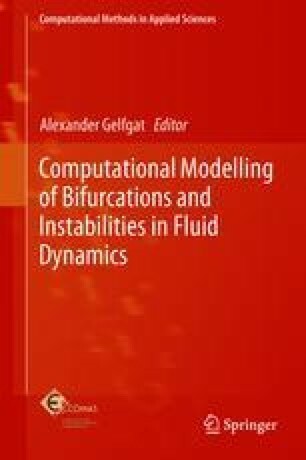 The topics treated range from the characteristic singularities resulting from the discontinuous boundary conditions over flow instabilities and their numerical treatment to the transition to chaos in a fully confined cubical cavity. In addition, the streamline topology of two-dimensional time-dependent and of steady three-dimensional flows are covered, as well as turbulent flow in a square and in a fully confined lid-driven cube. Finally, an overview on various extensions of the lid-driven cavity is given. We are very grateful to S. Albensoeder, F. Auteri, O. Botella, R. Bouffanais, C.-H. Bruneau, G. Courbebaisse, J. R. Koseff, E. Leriche, J.-C. Loiseau, J. M. Lopez, H. K. Moffatt, J. M. Ottino, A. Povitsky, W. W. Schultz, J. F. Scott and T. W. H. Sheu, who kindly allowed the reproduction of their figures which have been published earlier.